If you have followed along with this blog you know I keep close track of my finances. There are a few reasons for it: It is partly because I need to, when traveling long term you can derail your trip if you don’t know where your money is going. After doing sports statistics almost every day for a decade, that compulsion to quantify everything just doesn’t go away. Also because I think it makes a good blueprint for someone else’s trip. I realize most people don’t do this type of travel but if it helps one person plan then it is worth it. These are the final numbers for 110 days in Latin America. Keep in mind these numbers reflect basic travel. Few “nice” hotels, even less fancy restaurants, no mid trip airplanes or private tours. It does mean hostels, overnight buses, mom and pop eateries, walking tours, free museums, parks and beaches. It also includes loads of new friends, unlimited laughs and a lifetime of memories. What wasn’t included here were the flights in and out of Latin America, travel insurance, vaccinations, and the visa for Brazil. These things vary wildly. Of course these numbers aren’t scientific. Sometimes I spent a little more to be lazy and sometimes I would grind it out to save a buck. Other people’s experience may be different but these are the actual numbers with no manipulation, recorded after every transaction. Cabs- I generally dislike using cabs and prefer to walk but sometimes my hand was forced. Late at night it is not always safe to walk in South America, especially if I was a few drinks in. Also, when arriving or departing a new city I would sometimes opt for a cab in favor of lugging by bags over distance. I know this is a bit lazy, but so be it. 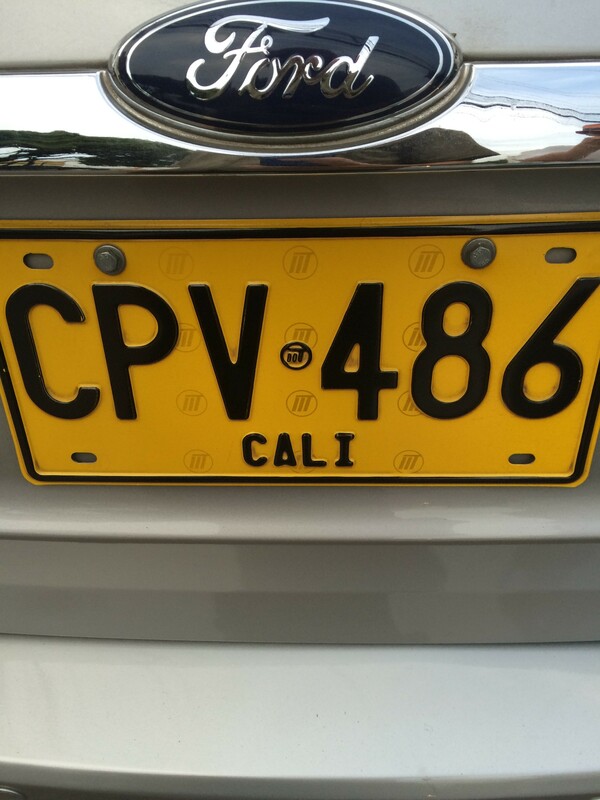 I used cabs the most in Panama ($4.50 per day) and the least in Peru ($.55 per day). Overall, I averaged $2.81 per day using cabs. Lodging- This included mostly hostels, a few hotels, some couch surfing and overnight transport. I’m not super picky in this area. Just so long as it is secure, I can deal with anything else. Lack of temperature control, hot water and even electricity were things I overlooked at times. Of course some hostels were fabulous and better than what I had at home. I spent the most in Ecuador ($14.76 per night) because I used hotels more frequently there. I managed to spend just $4.44 per night in Bolivia. In total, I averaged $8.33 per night for a place to sleep. Other- This included everything not listed elsewhere. Things like laundry, medicine, clothes, taxes, and various supplies. I spent $6.66 per day in Colombia mostly due to souvenirs and a hefty airport tax. In contrast, I only spent $.61 per day in Ecuador. All said, I dropped $2.20 per day on other. Beer- This is a very personal one. Some people would drink much more or some less and some not at all. This category includes all alcohol but most times it was beer. 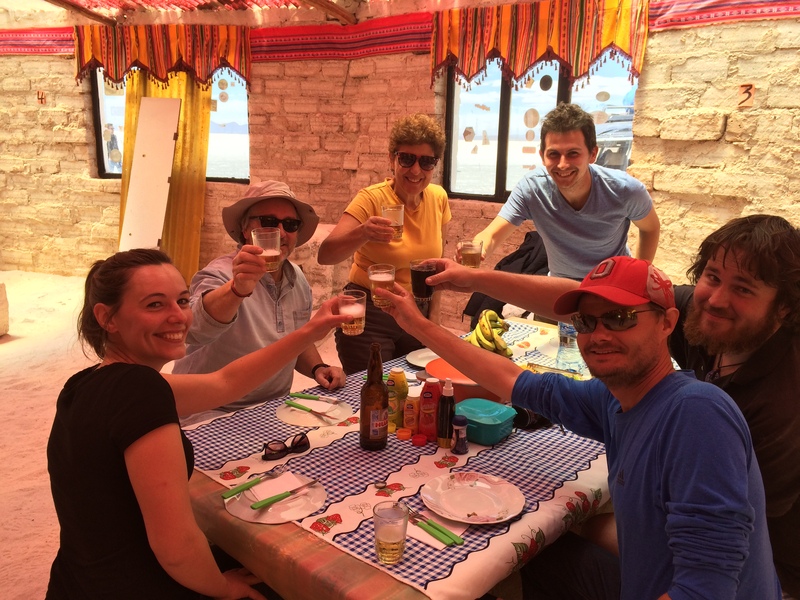 I had a real good time in Peru, spending $3.55 per day and only spent $2.11 per day in Bolivia. 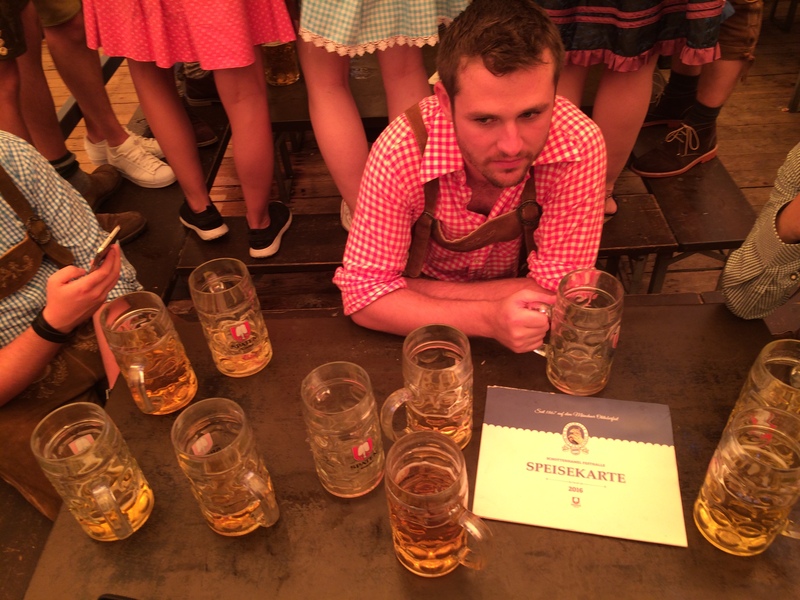 Of course the price per beer is different in each place but overall I averaged $2.86 per day for beer. Food- I lost a total for 4 pounds over the 110 days but it wasn’t because of the food! I ate great all trip! I didn’t always eat breakfast, but if I did it was usually included at the hostel or hotel. That said, I spent $1.19 per day in Brazil while not spending a penny in Panama or Ecuador. In total, I spent an average of just $.38 on the first meal of the day. 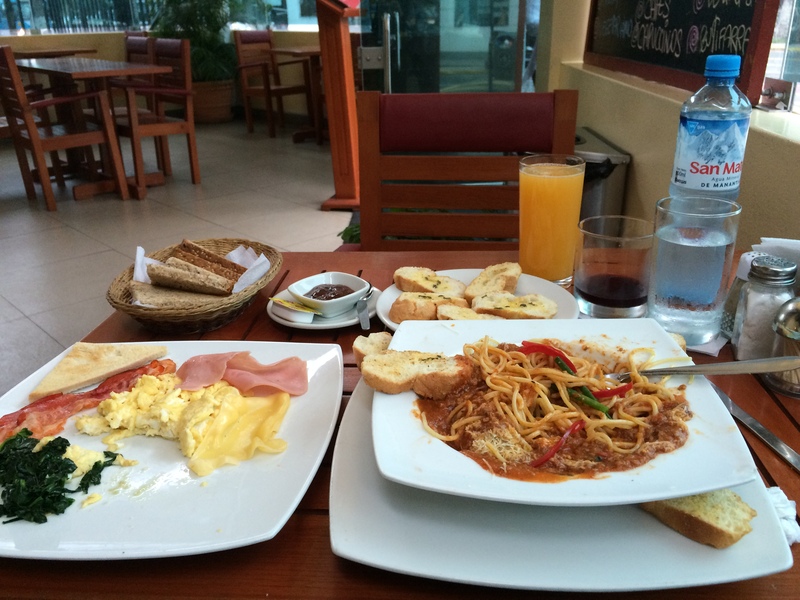 Lunch was the main meal in some places, like Panama, where I spent $3.87 per day. I got away with just $2.15 per day in Ecuador. Overall, lunch set me back $3.15 per day on average. 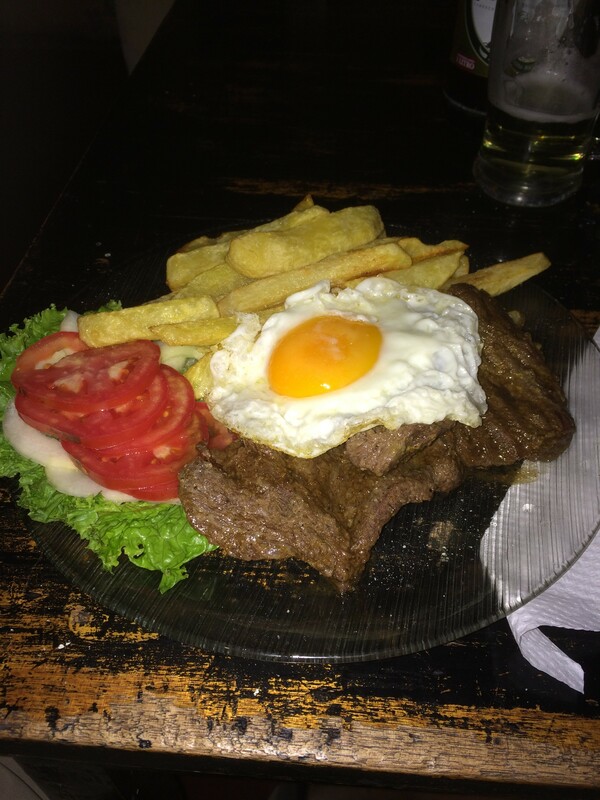 On the other hand, dinner was big in Ecuador where I spent a whopping $6.61 per day. In Panama, I limited myself to just $1 per day for dinner. In total, I spent $3.84 a day on dinner. I have a bit of a bad habit of snacking as well. I spent $1.19 per day on snacks in Brazil but didn’t give into the temptation at all in Panama. I spent $.54 per day over my time in Latin America. All said, I spent $7.91 per day on food. Tours- In general, I tried to occupy my time with free activities but if there was something that I just had to do, I gladly forked over the cash. 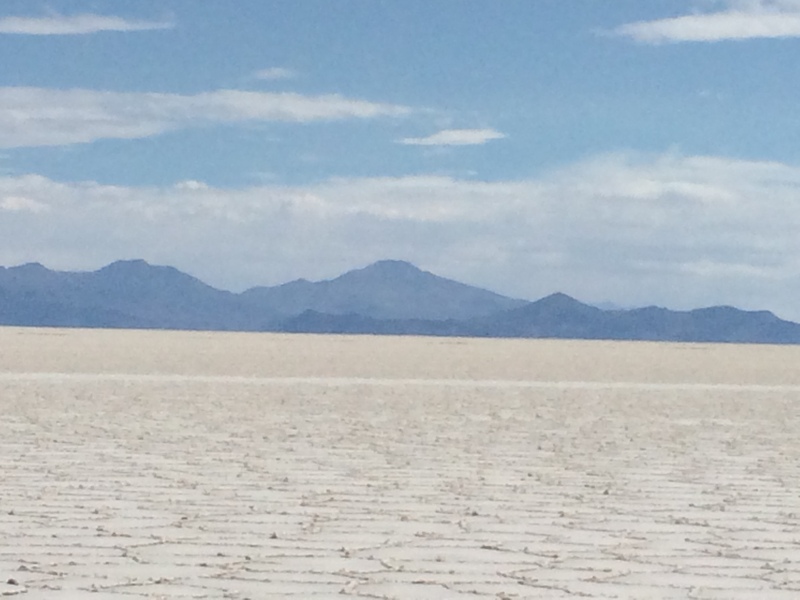 The Uyuni Salt Flat tour in Bolivia cost me big, but was worth it. I spent $9.22 per day in Bolivia while I enjoyed the free nature of Ecuador and only spent $.15 per day. On average, I spent $3.65 per day on tours. Shuttle/Metro- Rather than get a cab I rode shuttles or the local public transportation on occasion but not in every place. On the trip, I spent an average of $.63 per day on shuttles and $.14 per day on public transport. Buses- This was my main way of getting from city to city and did it quite often with the exception of Panama and Columbia where I stayed in the same place. Brazil was the most expensive with at $5.53 per day while in Bolivia is was just $4. Overall, the bus was a major expense at $3.30 per day. Gifts- I’m a guy who doesn’t mind getting a round of drinks for his new friends. I got a gift for a local who showed me around or opened their home to me. Overall, I averaged $.38 per day on gifts. Water- Outside of a few places, tap water is not safe to drink in Latin America. Although many hostels/hotels/residences have filters I still bought quite of bit of water. 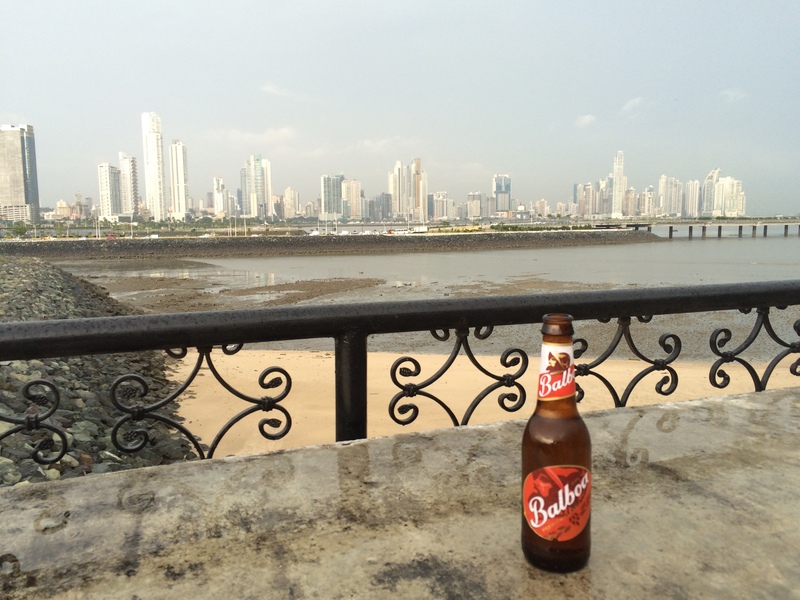 In Bolivia I spent $.66 per day while I went without in Panama. Overall, I spent $.36 a day on water. All said and done, I spent an average of $32.62 on daily living over 110 days in Central/South America. South America. A magical land that is every bit as interesting as Europe at a third of the price and without having to fight through a crowd. After nearly four months having a look about I have been asked by many people: what was the best part? It is an impossible question to answer but I have narrowed it down to a few of my favorite spots. Of course, I didn’t see every country or even all of the countries that I did visit. This is not an all-encompassing list but just my experience. Machu Picchu (Peru)- This is a pillar of most people’s trip to South America and for good reason. I loved it because: 1) it is flat out gorgeous. 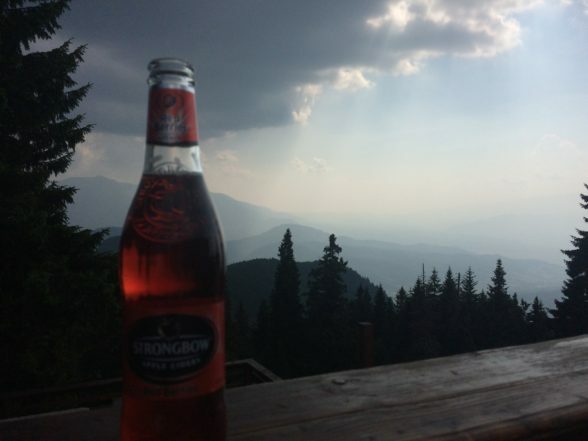 Situated at the top of a lush mountain with clouds rolling by, it is the stuff dreams are made of for nature lovers. 2) When the Spanish colonized the Inca Empire most Inca cities were sadly destroyed in the mid-1500s. Lucky for us, the Spaniards never found Machu Picchu. It was wiped out by disease that the Spanish brought to the continent but there was never any fighting there. Point is, Machu Picchu is maybe the best place to see how the Incas lived as it is 70% original to this day. 3) The feat of engineering is mind boggling, it would be difficult to build today, much less in ancient times. 4) There is a sense of accomplishment to doing it on foot. I didn’t do the famed (and expensive) Inca Trail but I still walked over 37 miles in the three days I was there. 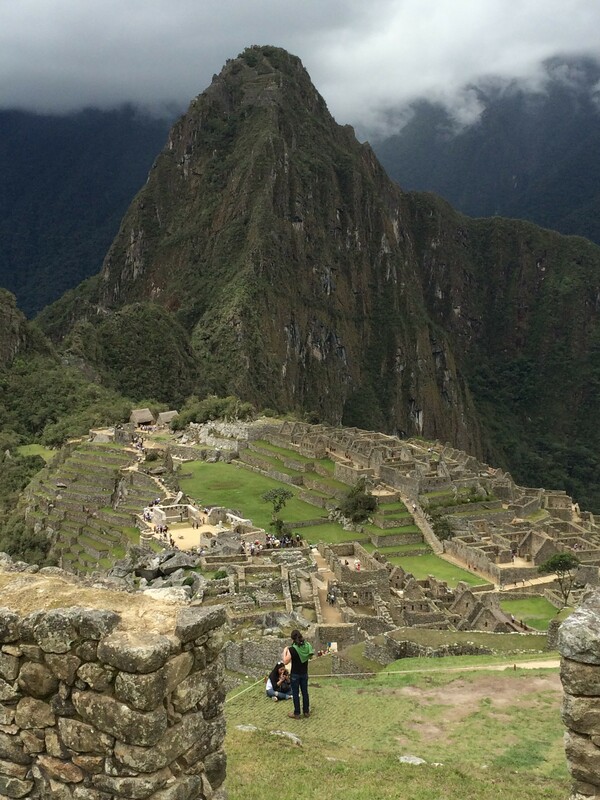 I highly recommend the Mount Machu Picchu hike. It is an amazing hike without the crowds of down at the actual site. Uyuni Salt Flat (Bolivia)- When a prehistoric lake dried up it left a 6,800 square mile salt flat, the largest in the world. Being there is what I imagine it would be like to be on another planet. The lava fields on Hawaii’s Big Island is the only other place I’ve ever felt this. Unfortunately, I was there in the dry season and missed the mirror effect but it was still cool nonetheless. 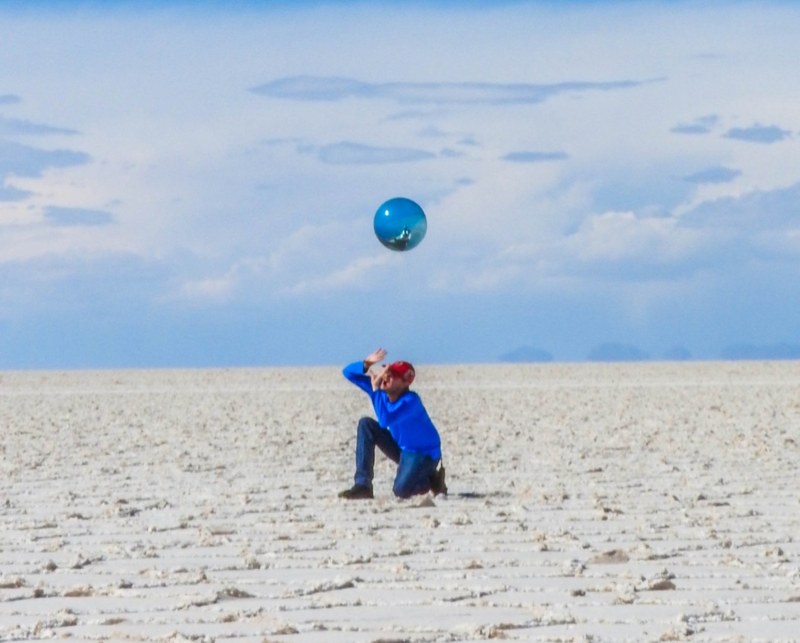 While Salar de Uyuni is a show stopper in itself, the whole of Southwestern Bolivia is amazing. From crazy rock formations to majestic mountains to geysers to lagoons packed with Pink Flamingos to swimmable hot springs this area is primitive but worth the time off the beaten track. Laguna Colorada is absolutely not to be missed (pictured at top)! Iguaçu Falls (Brazil and Argentina)- Of all the places I visited in South America this was the only one that physically took my breath away for a moment. I love this feeling but the more I travel the harder it is to get it. Growing up a six-hour drive from Niagara Falls, it is the standard I measure all waterfalls against. For the first time, Niagara looked woefully inadequate. Iguazu Falls is not only 165 feet taller but is much, much wider. There are actually 275 separate falls. The Devil’s Throat is the most intense part of the falls system and is awe inspiring. Unfortunately, due to visa issues I didn’t have the opportunity to visit from the Argentinian side. 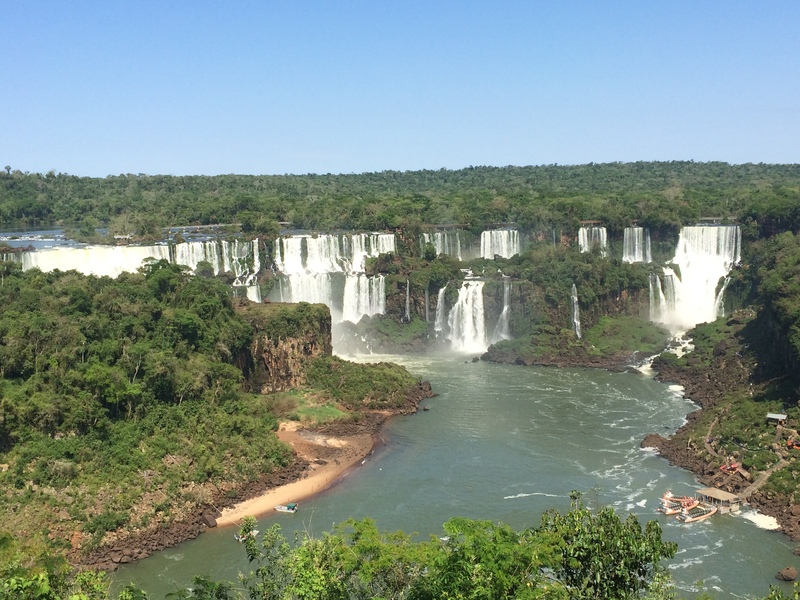 As I understand, the Brazilian side is more of a panoramic view and the Argentinian side is more up close. The debate rages on which side is “better,” but I can say the Brazil side is legit. Pantanal (Brazil, Bolivia, and Paraguay)- This is the world’s largest tropical wetland that covers roughly 75,000 square miles. I visited two different areas in Brazil and they were both wonderful in their own right. While South America typically conjures up thoughts of massive rainforests, the Pantanal more resembles the African plain. This is a tremendous advantage in spotting wildlife as there are far less hiding places than in the Amazon. It is very difficult to NOT see wildlife here. Of particular interest to me, the Pantanal is home to the healthiest Jaguar population on earth. I was fortunate enough to see two, which was exhilarating. In addition to the Jags I saw Caiman, a Tarantula, Howler Monkeys, Macaws, Turkey Vultures, Toucans, King Fishers, Ospreys, Capybaras, Peccaries, Fox, Marsh Deer, Tegaus, Quaties, Nutrias, Parrots, Piranhas, Woodpeckers, Bats, Owls, Giant River Otters and much more. 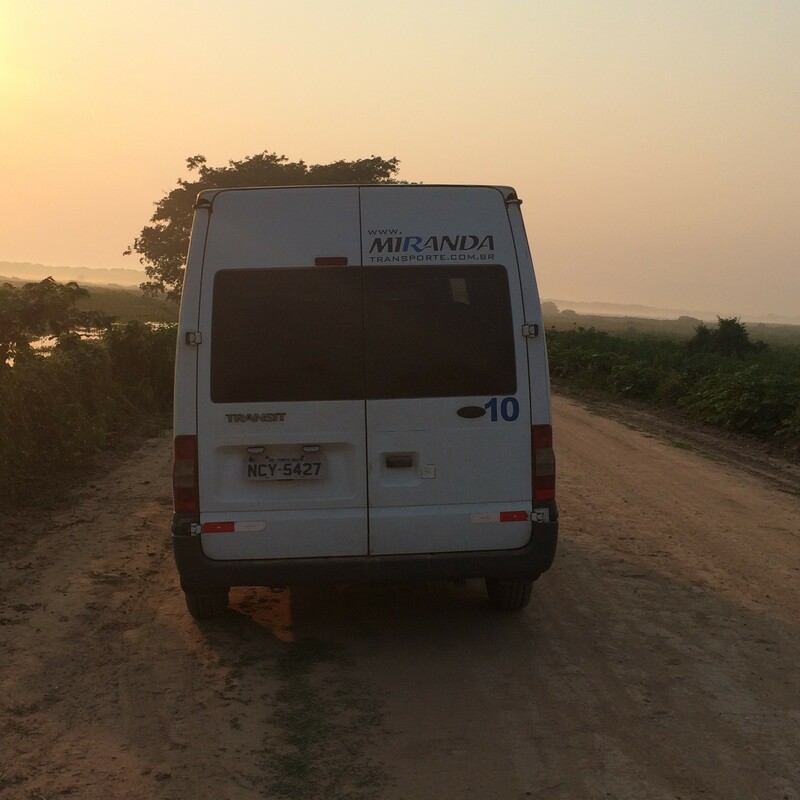 I spent time in two locations, near Corumba in Mato Grosso Do Sul and near Porto Jofre in Mato Grosso. The first location is definitely cheaper and you can see many animals, but there are many more Jaguars near Porto Jofre and the price reflects this. 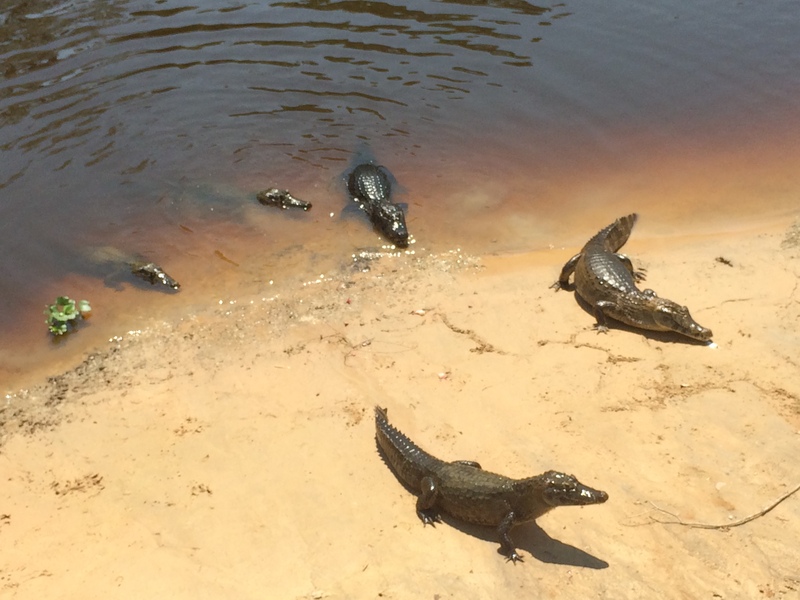 Either way, the Pantanal is probably the premier wildlife viewing area in all of the Americas. 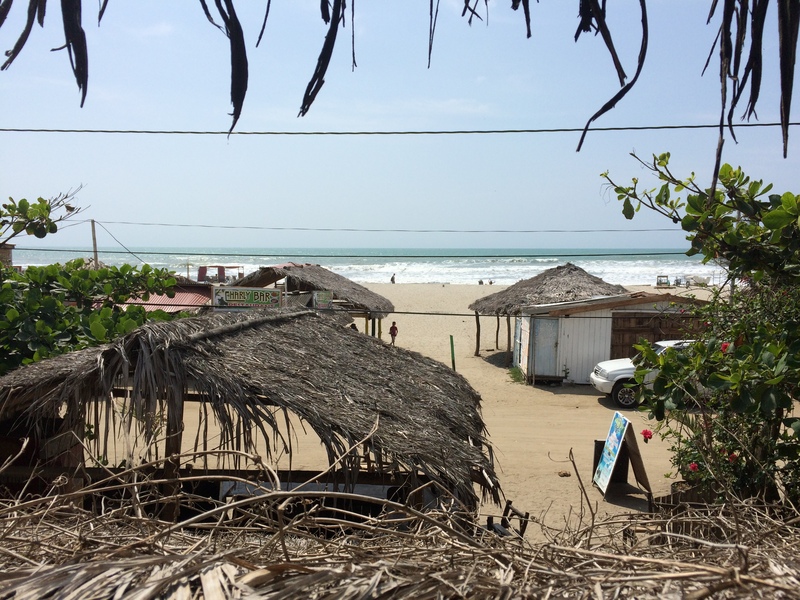 Coast of Ecuador- I had the good fortune of spending time in three towns along the coast, including Ayampe, Puerto Lopez and Canoa. I enjoyed all three. As far as the beach itself and the surf goes, it is not on Hawaii’s level. However, it is the place that you imagine a beach town to be. In several places you had the beach entirely to yourself! No buildings bigger than a few stories, no big hotel brands, and no restaurant chains. The kind of place Hawaii probably was 50 years ago. It was cheap too, you could get a bed on the beach for $6. 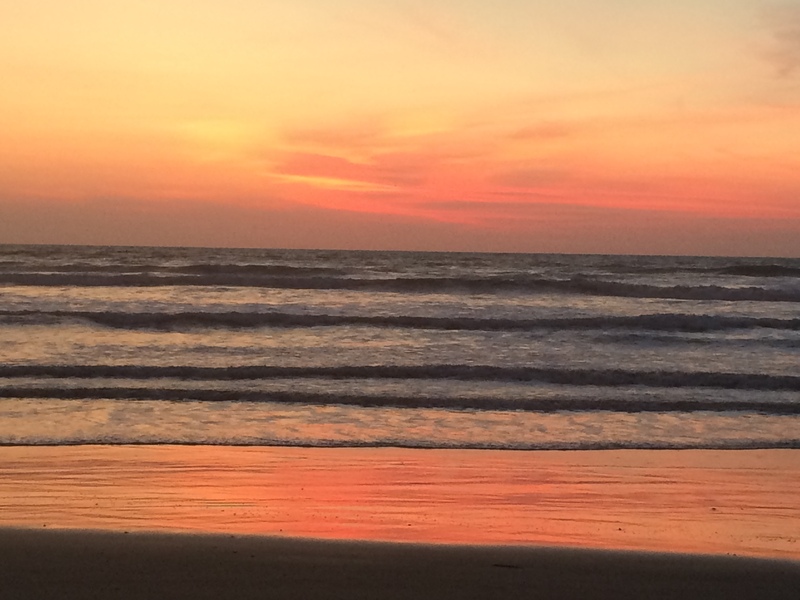 A cheap, nice, uncrowded beach with sunsets to die for. That is my type of place. Big Cities- In multiple instances people told me that a certain big city is not worth seeing and is just a stopover on the way to the next destination. 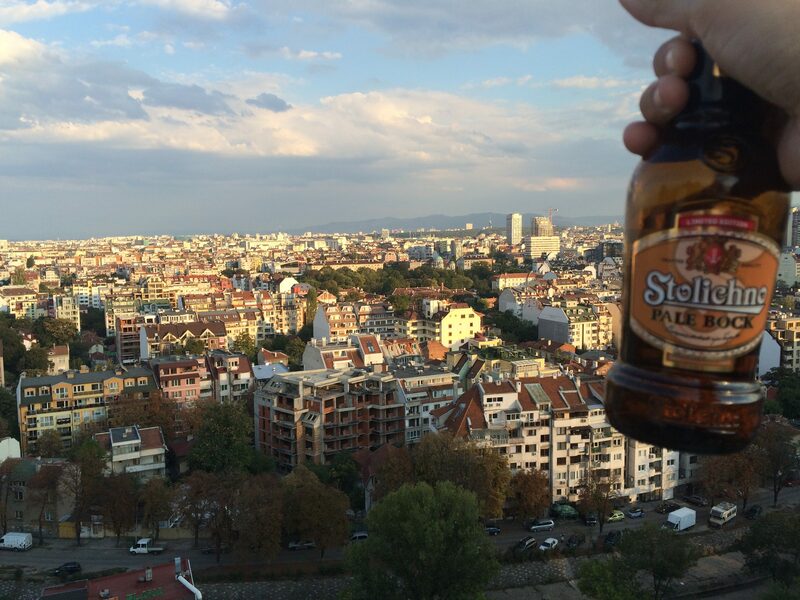 As you know, I love nature but I also am a big city guy. In fact, I’d say I’d rather visit nature and live in a big city than the other way around. The energy, the lights, the sounds, the technology, the diversity, and the fact that you can almost get anything you want in a big city are all intoxicating to me. Sao Paulo (Brazil), with over 20 million people in the metro area is the biggest city in the Americas and the biggest I’ve ever been to. It was amazing. The food, the music, the nightlife. Of course I can’t forget Rio (Brazil) with its beaches, Sugarloaf Mountain and its outstanding football culture. 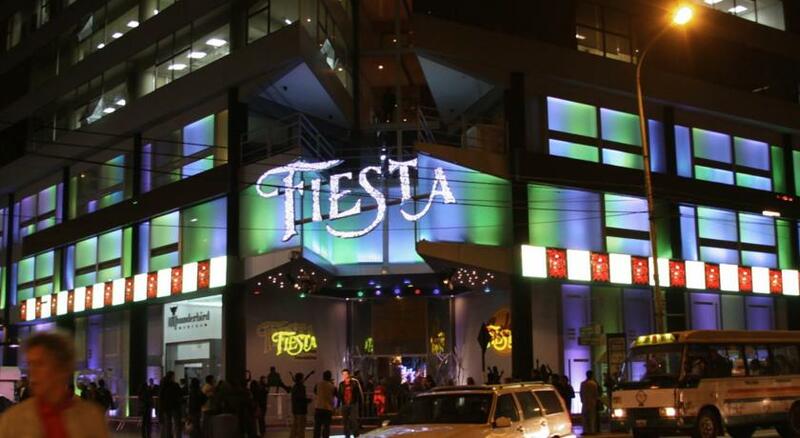 Lima (Peru) was a modern, western city with a beautiful coast, vibrant nightlife and a unique gambling setup. You could watch a game at a bar and place a bet with the bartender! (There were traditional casinos as well.) 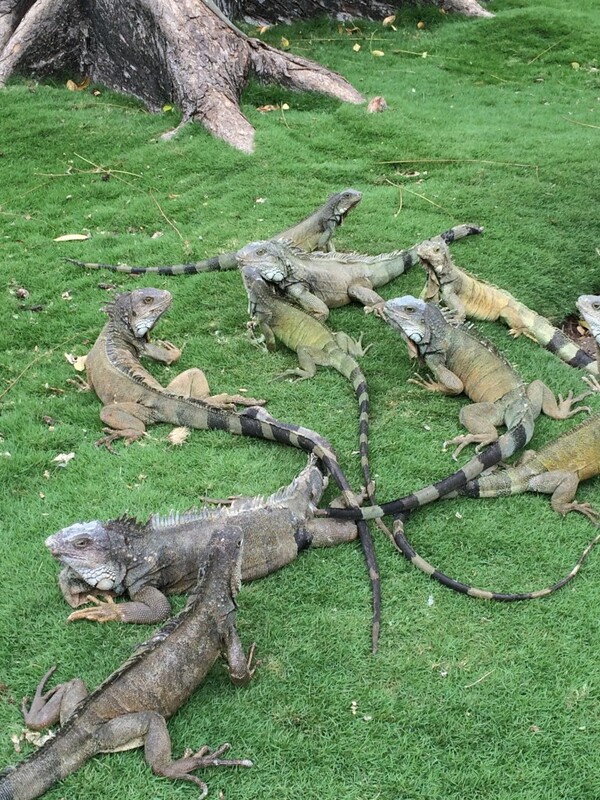 Guayaquil (Ecuador) was also super modern with colorful neighborhoods with large Iguanas just walking around! 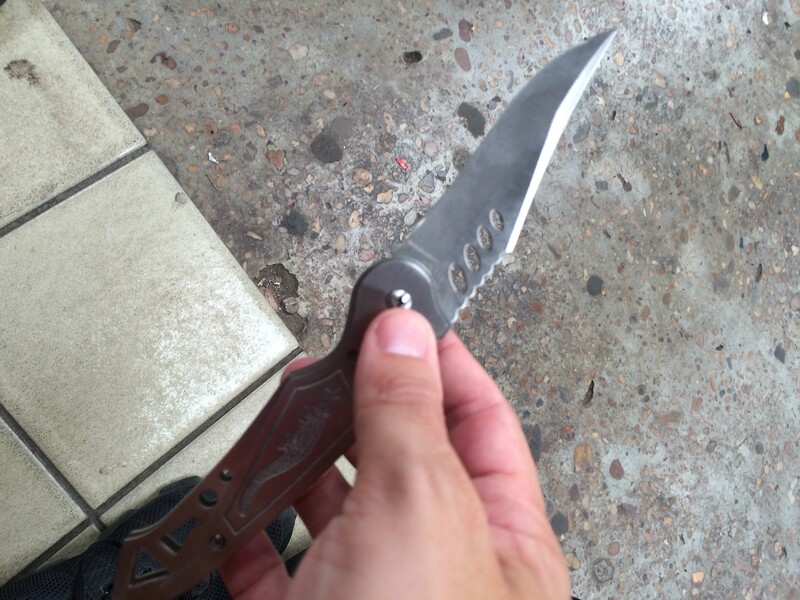 Cali (Colombia) was the kind of place you can find anything you want, and I mean anything, and for extremely cheap. I would love to return to all these places someday. The People- Seeing the places described above was a great experience but the people are really what make it unforgettable. Some people think solo travel is about trying to tackle the world alone. That couldn’t be farther from the truth. I’d even argue that solo travel lets you meet more people and make more friends than a person traveling with a partner. The locals in Brazil were particularly good to me. I stayed with two hosts in Sao Paulo, including one in the biggest apartment I’ve ever seen. 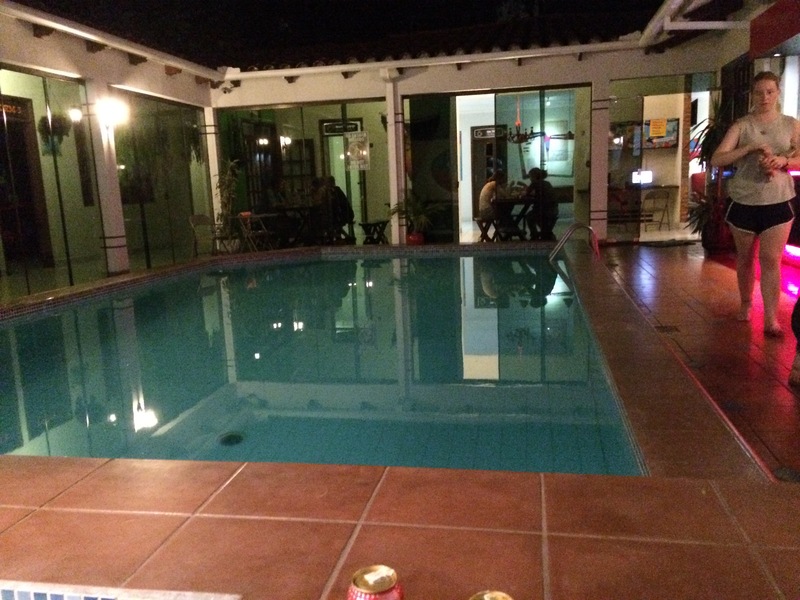 I stayed with two more very generous hosts in Cuiaba and even met my girlfriend there. 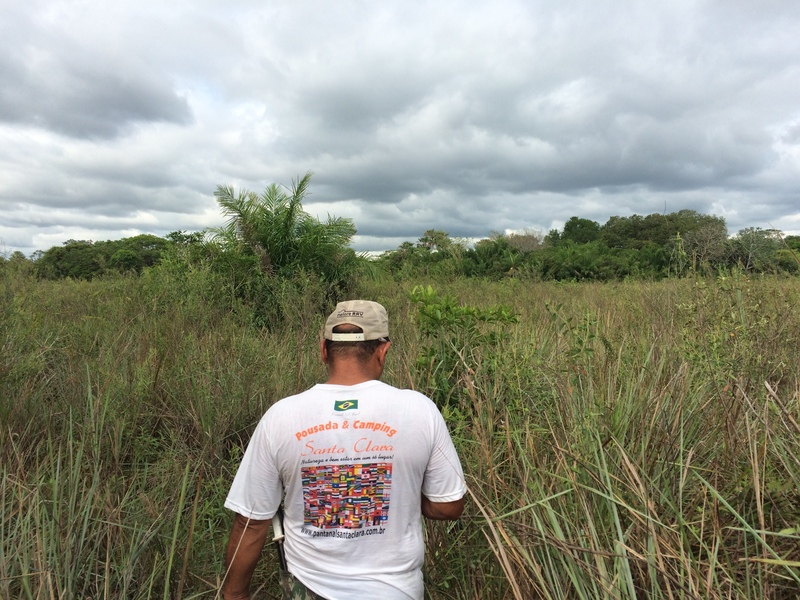 I had great guides in the Pantanal to help me see what was there. Other travelers, although not from South America, were great to explore with. Every place I went I met at least one special person to share the experience with. In a few instances we joined forces and traveled for days or weeks together. Sometimes it was just a day. Either way, I remember, and miss, all of them and am better off for having met them. South America exceeded all of my expectations. If the rest of world comes even close to our neighbors to the south, this trip will be legendary. Colombia. Just the name evokes strong emotions, good and bad. For travelers who have been there in recent times Colombia often tops their list of favorite places in South America, if not the world. For your Aunt Ester, Colombia means cocaine crazed gangsters passing out Colombian Neckties with FARC rebels kidnapping everyone in sight. The truth is mixed. Palmira and Cali are still in the top 10 for most murders in the world but the violence is way down from the civil war period in the 1940s and 50s and the drug wars of the 1980s and 90s. While cocaine is still a part of Colombia, it was more prevalent in Peru and Bolivia in my experience. However, I’m with most of the backpackers, Colombia is an amazing country and I’m counting the days until I can return someday. Due to the fact that it was the end of my South American leg and that I met some very cool other travelers, I really enjoyed the nightlife. I spent $32 on beer, or $5.33 per day. 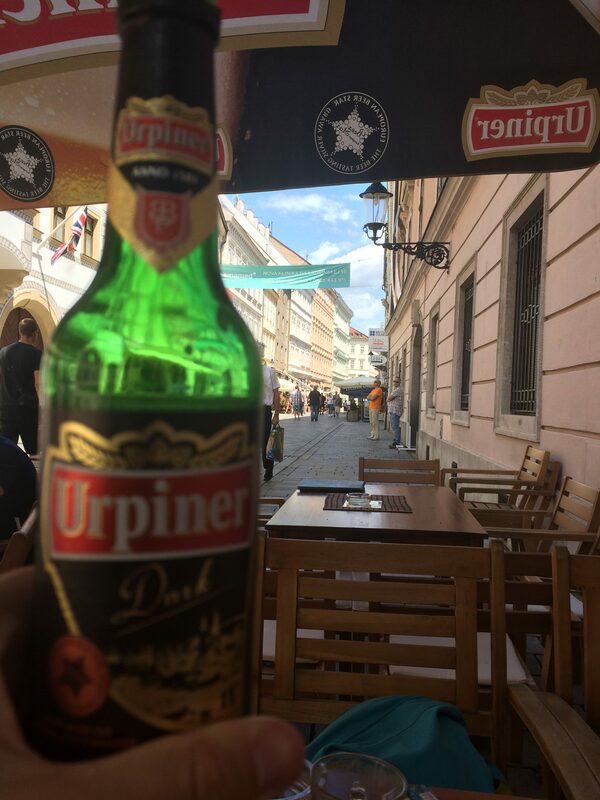 Beer costs $1-$2 per bottle at most places. I spent $30 on accommodation ($5 per day (PD)), which included five nights in a hostel and one night on a red eye flight. Although it was a six-bed dorm, it felt like a private room as I bunked with three other travelers I had met on a bus in Ecuador. The next biggest cost was other which included a departure tax of $15 at the airport and a souvenir. I usually don’t buy souvenirs because I don’t want to carry them around but since I was going home for Christmas I did. Overall, I spent $24 ($4 PD). I spent $20 on cabs ($3.33 PD) of which $15 came on the ride to the airport. That is another reason I hate to fly. The hidden cost of getting to and from the airports that are usually not close to the city center. Oddly, I spent exactly $17 on lunch ($2.83 PD) and $17 on dinner while adding $2 on breakfast ($.33 PD) and $8 on snacks ($1.33 PD). The less than $6 a day average for breakfast, lunch and dinner combined may seem like I was starving myself but that couldn’t be farther from the truth. I gorged myself several days and could have got by on far less. I also spent $2 on water ($.33 PD) and $3 dollars on tours ($.50). Overall, in six days, I spent a total of $155 or an average of $25.83 per day. Ecuador is a much underrated country. My original plan was to burn through it as fast as possible to have more time in other places like Peru and Colombia. Once getting there I knew I couldn’t do it and spent almost two weeks there (13 days), you could easily spend more. It is an expensive country as compared to most of Latin America partly because they use the US Dollar. The bills are all from the US and the coins are a mix of Ecuadorian coins and from the US. It is also fairly modern with a big time draw to people with money, the Galápagos Islands. The lion’s share of the tourists come to Ecuador for that reason alone. However, the Republic of Ecuador is so much more. Unfortunately, I didn’t make it to Darwin’s lab on this trip. The cost was just too high for my way of traveling, I didn’t talk to anyone who did it for less than $1,200 (7 days) and I talked to several who spent much more. Technically, I could have bit the bullet and paid the money but I decided to save the cash for other opportunities down the path. If nothing else, long term travel is about decisions. Due to the fact I lived in Hawaii, the islands didn’t have a huge draw. Plus, now I have a reason to come back someday. The big expense was housing. I blew past the previous leader for most expensive (Brazil) by more than $4.50 a night. I spent $192 or an average of $14.76 a night. I definitely splurged in this area. I stayed in hotels for five nights, hostels for six while also couch surfing and sleeping on a bus one night each. The hotels could have been avoided but after no hotels in Bolivia or Peru I spent a little more. The couch surfing was actually at the hostel. When I wanted extend my stay in Guayaquil it was booked, but the manager offered me to take the couch at the front desk for free. I gladly accepted. Due to the small size of the country, overnight bus options were extremely limited so that also contributed to the high cost. The food cost was also high. I spent a staggering $86 on dinner and $28 on lunch ($8.76 per day (PD)). Part of the problem here was due to some remote locations with limited dining options. The dinner cost was again the highest on the trip, by just over $2 per day. Due to the high food cost, I also snacked more spending $10 ($.76 PD), this was also the highest in Latin America. Getting around in Ecuador was reasonable but not cheap. I spent $63 on buses ($4.84 PD) and another $43 on cabs ($3.30 PD). I got as free ride with a lady I met on the bus from the border to Cuenca so that helped, but the short bus rides with lots of switching buses added up. Also, I found the people in Ecuador a lot less willing to bargain on bus and cab costs. I also used the metro bus in Guayaquil a few times, which was only $.25 per ride for a total of $2 ($.15 PD). I enjoyed the night life in Ecuador, particularly in Guayaquil. 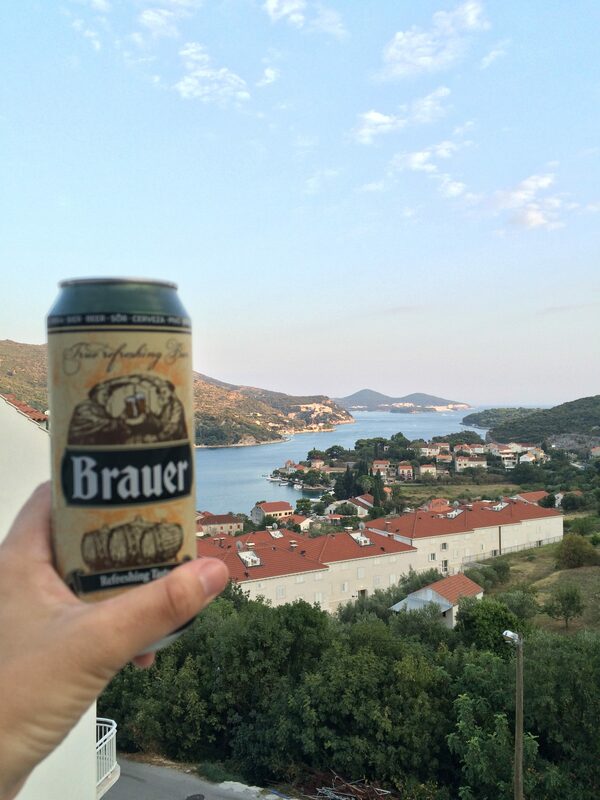 I spent $41 on beer ($3.15 per day), each beer hovered around the $2-$4 range. 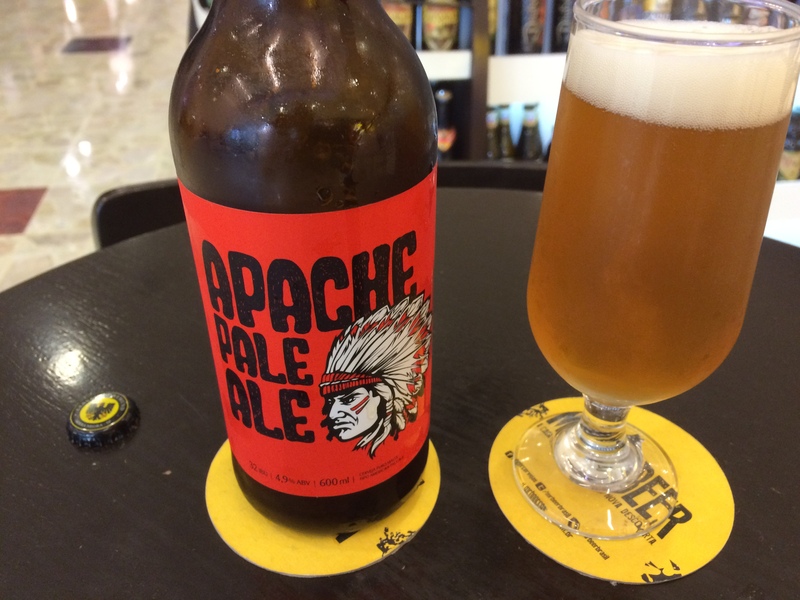 It was the second highest average for beer behind Peru. I also dropped $8 ($.61 PD) on other, which included laundry service. For those that helped me, I spent $11 ($.84 PD) on gifts. Although Ecuador was surprisingly not that hot, due to elevation, I spent $7 ($.53 PD) on water. 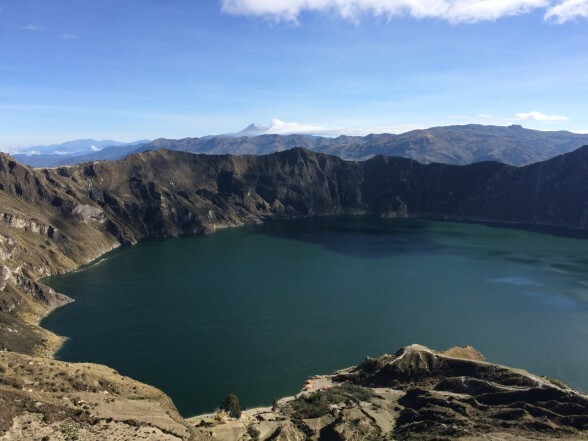 I also spent $2 ($.15 PD) on tours, accounting for admission to Quilotoa Lake. 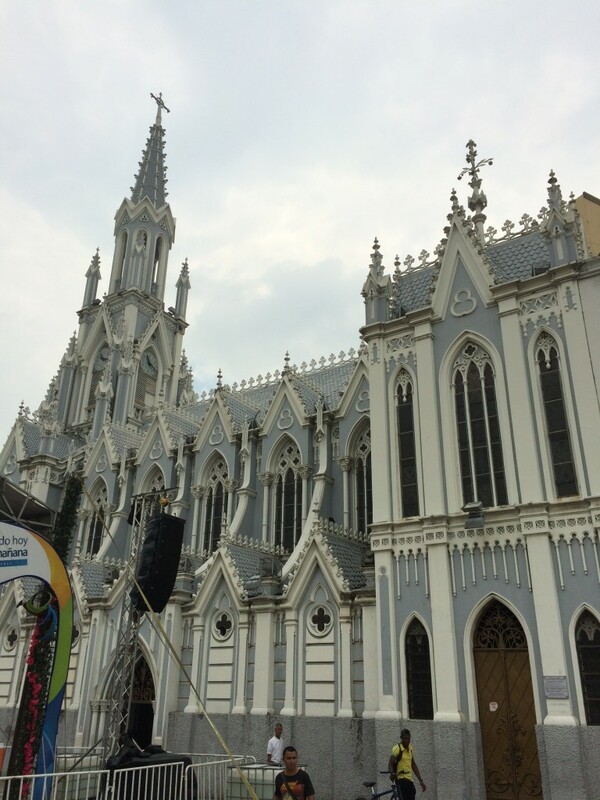 Ecuador had many free parks, interesting streets and beaches to explore without cost. Overall in 13 days in Ecuador, I spent $493 for an average of $37.92 per day. This was the most expensive country I visited in Latin America other than Brazil. They said it couldn’t be done. They said it was too far, too dangerous and impossible because I don’t speak the language. But I did it. Taking a bus/van/car/truck/train across South America isn’t for everyone but it can be done and can also be advantageous. Buses drop you closer to the city and are much cheaper, averaging about $1 to $1.50 an hour. Without the use of a plane I traveled from Atlantic coast of Brazil to Bolivia to Peru to Ecuador to Colombia. I didn’t travel in straight lines but zig zagged all over the continent. Overall, I traveled 9,642 miles which is about 300 miles more than the distance from Los Angeles to Cleveland…four times. I took four journeys of at least 20 hours, with the longest being 29. It sounds ridiculous, but I enjoyed these. The first few hours can be rough but soon my mind went elsewhere and the hours melted away. It is similar to the feeling when running a marathon or any long distance activity. I avoided any major catastrophes but did have a few interesting situations. In Brazil, our shuttle driver doubled as a delivery driver. We’d stop every so often around Campo Grande and pick up random items for transport to the Pantanal and then back again. On the way back, I saw the driver grab what looked like a bag of water with something moving in it. During a rest stop, curiously got the better of me and I opened the back of the van. It was a bag of snakes! Live snakes! You’ve seen Snakes on a Plane but we had real life snakes in an MFing van! After I slammed the door, the rest of the ride I half expected to feel something slither around my neck. Of course, nothing happened. On most buses the seats are assigned, similar to a plane. On a plane if no one is sitting next to you when the plane takes off, you’re golden. It’s a good sign on a bus, but in the next town someone could easily join you. On the bus from Foz do Iguacu to Campo Grande in Brazil I had the seat to myself to start and in every town, as people piled on, I would say to myself, “don’t sit here, don’t sit here, don’t sit here” and then cheered to myself as they passed. It worked, I was alone. Until one town I saw a beautiful girl get on and then I changed my chant to “please sit here, please sit here, and please sit here” and she did! Of course there was no way she spoke English as few people in Brazil do, especially on a bus in a remote place. But she did, she studied in Chicago as part of an exchange program and spoke perfectly. We ended up talking non-stop for over six hours until she had to leave. We ended up staying in contact for the rest of my trip in South America. That was my favorite bus ride. As I roamed the station, the guy came back and grabbed my shoulder and said something franticly in Spanish. I almost back handed him. I thought he was an aggressive salesman, which I had seen. I cleared some room with an elbow and walked away. Still no closer to finding my bus and with time dwindling, I was approached by a German guy. In English, he asked if I was going to Sucre with San Francisco (which was the name of bus company I bought from). I was put off that he knew this and then I saw that the little Bolivian man who has been chasing me around was behind him. Before answering, I asked what that guy wanted. The German guy explained that my bus driver showed up to the bus station drunk and my bus had been canceled. The Bolivian guy worked for a sister bus company and would honor my ticket with no additional funds. We returned to his window, he wrote me a new ticket and I was on my way. Only in Bolivia. When I was leaving Lima, Peru and heading to Ecuador I was talking with a retired Ecuadorian English professor as we waited for the bus. She inquired about where I was going in Ecuador. I honestly had no plan, I was going to get to the border and see what grabbed my attention. I conveyed this to her, puzzled, she asked if I ever heard of Cuenca. I hadn’t. Truth was I hadn’t heard of much in Ecuador. She told me she had a car and a driver meeting her at the border and if I wanted to go to Cuenca she would take me there for free. I wasn’t sure what to do. Who was this lady? What did she want? She saw my hesitation and told me to think about during the ride to the border (21 hours) and to let her know when we arrived. Not one to turn down a free ride, I took it. She even payed the cab to the border. 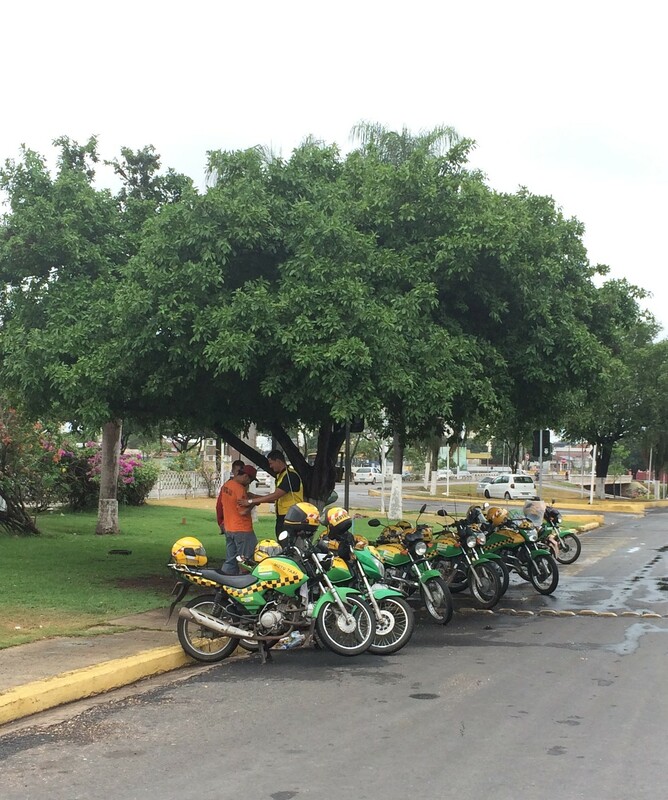 The four-hour ride to Cuenca passed without incident. Turns out there are still good people in this world. I have gotten a positive response on these budget breakdowns so I’ll keep them going. I had a really great time in Peru and I think it was because I mixed a lot of down time with world class attractions. In Cusco and Lima people often recommended various sites that I never heard of. I didn’t go. I’m not saying just because I haven’t heard of it, it can’t be good. What I am saying is when you are traveling long term you can’t pack everyday with sightseeing. I’ve done 1-4 week trips were you have a packed itinerary and by the time you get home you need a vacation from your vacation. My time is unlimited and I’m trying not to burn out. This take it easy approach is not only good for your mental and physical health but your budget as well. So here is what I spent during my 18 days in Peru. For the second time on this trip the top cost was food (Bolivia). I heard good things about the Peruvian food before I arrived and it lived up to the billing. Some days when I was laying low I would just walk around and eat, and in Peru, that can be better than sightseeing. I’m a creature of habit even when I have no schedule, once I found a place I liked I kept going back. I went to three different places three times each. I spent $80 on dinner ($4.44 per day (PD)), $45 on lunch ($2.50 PD) and $6 on breakfast ($.33 PD) for a total of $131 or $7.27 per day. That was the second most per day on this trip after Brazil. Accommodation was another big cost, I spent $107 on 16 nights in a hostel for an average of $5.94 per night. I was able to save a little with two overnight bus rides. I moved around Peru a good bit and spent a pretty penny on buses. On four long haul bus rides I spent a total of $98 ($5.44 PD). I traveled a total of 1,843 miles across Peru, seeing a good bit of the country. I took a much nicer bus, which was about 40% of the total bus cost, for the long trip to the Ecuador border. I’ve learned to take better buses to the borders because there will be other English speakers on those buses and it will help in the crossing. In country, I still go for the cheap buses that the locals take. I spent $64 ($3.55 PD) on beer. Most of that was in Lima on back-to-back days. I found an American style sports bar so I posted up and watched football all day Saturday and Sunday, after all, you can’t just sit there and not buy anything. It was my first games of the year on TV, I was in heaven. 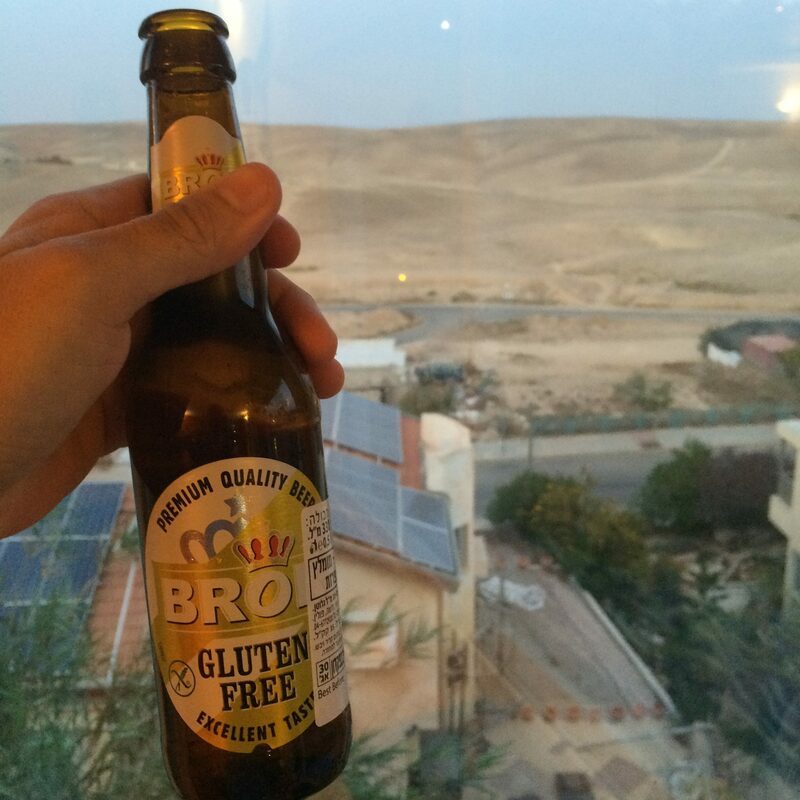 The beers in Peru are around $2-$3 per bottle. 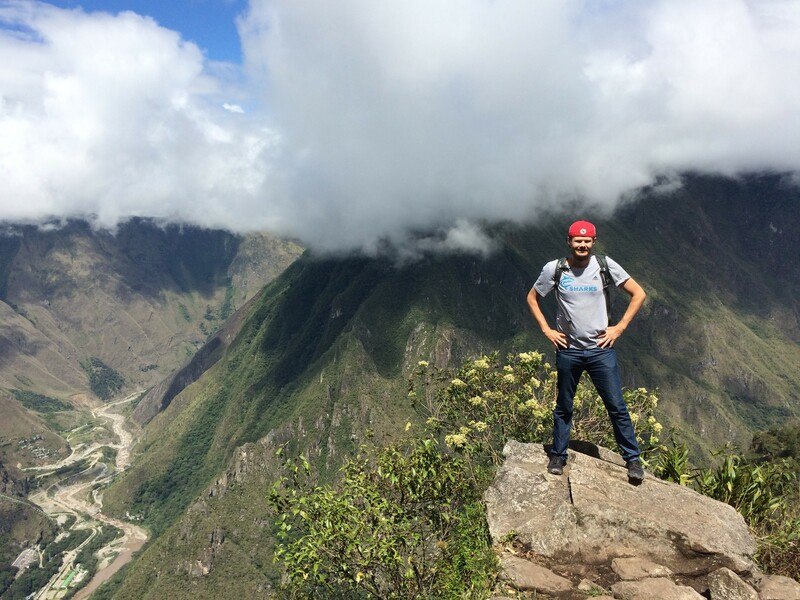 I dropped $61 on tours ($3.38 per day), most of it on the Machu Picchu trip. My package including transport, three meals and lodging but for the purposes of my budget I broke it up. I estimate $56 of the total price was for admission to the site, admission to Machu Picchu Mountain and a tour guide (for an hour and a half). I spent a few other bucks on a hot spring, the Nazca Lines observation tower and a museum in Nazca. To get to Machu Picchu I took a shuttle from Cusco to the hydroelectric plant (in the middle of nowhere) where the road ends. From there it was about an eight mile walk to Aguas Calientes where I spent the night. The shuttle ride was hellish, windy, dusty mountain dirt roads. For much of it we were feet from certain death hugging the side of the mountain with no guard rails. This cost $26 ($1.44 PD) but better that than the train which will run you at minimum $60. I then walked to Machu Picchu the next day which saved a further $24 over the lazy people who took the bus. I also spent $19 ($1.05 PD) on other which included renting towels as I lost mine somewhere in Cusco. It also covered $10 in gambling losses in Lima. I won some and lost some, in the end it was hours of fun for cheap. Only $10 ($.55 PD) was spent on cabs as I felt good walking around. In addition, I spent $5 ($.27) on gifts, $4 ($.22) on water, $2 ($.11) on local buses, and $2 ($.11) on snacks. Overall, 18 days in Peru cost me $529 or $29.38 per day. Everyone who knows me knows I love The Ohio State University, particularly its football team. I happened to be in Lima, Peru for THE GAME. If you don’t know, that is Ohio State v. Michigan (the biggest and most hated rival). I made sure I was up at the crack of 11:45 a.m. and turned on my computer to watch the bloodbath. Naturally, the previously reliable WIFI signal was in the toilet and I couldn’t get the stream. In a panic, I Googled sports bars in the area fully not expecting to find one. After all, I hadn’t seen a bar yet in South America that played college football. By the grace of Woody Hayes, there was one. I ran out to the curb and hailed a cab to The Corner Sports Bar and Grill. The Corner is your typical American sports bar, including a full menu of fare found in sports pubs across the nation. It is owned by an American guy and it was something I really needed after not seeing a single game on TV all year. I’m thankful to watch online, but it is just not the same. As I walk in I immediately spot four Michigan fans and they tell me they don’t want me sitting near them. (As if I wanted to sit with those bottom feeders.) So I go to the bar and sit down and start chatting with the guy next to me. Ken is from Montana but is an Ole Miss fan and just likes watching football and drinking beer. We become fast friends, the kind of friendships that happen when you are both traveling alone. He mentions he met two other Ohio State fans the night before and they are coming to watch the game also. Soon Neil and AJ (former roommates at Ohio State) show up and invite us to join their table. The beers are flowing like the Olentangy River after a rainstorm. We bond over Ezeakiel Elliott’s 214-yard game. Hearty OH-IO chants echo around Lima’s Miraflores neighborhood. Ohio State wins! We meet more Americans, three guys from Iowa, and they morph into our group. We stick around The Corner and watch the next set of games. The food and drinks continue. Neil, now living in San Francisco, is a high roller. He gets whatever he wants, and a lot of it. It seems AJ, and the two Peruvian girls that joined them, are along for the ride. By the time we leave, our table’s tab is north of $400 USD. It is about 7 p.m. now but we are just getting started. Someone suggests we go continue to drink at the casino. We head to the Fiesta, where Ken is staying. It is Ken, AJ, Neil, Layla (Peru), Emma (Peru) and Kyle (Iowa) and myself. Soon the group bellies up to the bar inside the Fiesta but Emma has disappeared. I don’t think anything of it, people come and go so fast from my life these days. She returns about an hour later with a large amount of cocaine, eight grams I’m told. The street value in the US is about $800, in Peru it was $32. Ken, the girls, and I don’t want any part of it. The other guys head to the bathroom together, and here you thought only girls go to bathroom in packs. I thought about leaving, surely these guys going to bathroom together, and frequently, would be suspicious. It wasn’t a great mystery what was happening. The last thing I wanted was to end up in the Peruvian slam. Layla told me to stay, she explained that this was Peru. It’s normal. No one cares. Sure enough, no one did. Neil is a card shark and a master of black jack. He heads to the table and bets the max most every hand. I just watch. I don’t have money to lose, or snort, for that matter. He plays for hours and I am fixated. He wins most of the time. It was like watching TV. Every once in a while I’d offer a high five or some motivation. Before I knew it, I was his unofficial good luck charm. I indicated I was getting tired and might take off as I had stopped drinking hours ago. He bought my drinks and then gave me $200 in chips to play alongside him. Soon he was sitting on $7,000 in chips. I was shocked. I’d never seen anything like it. However, the card gods turned. Next thing I knew he was down to $200, which at that point I gave him back all the chips I was playing with. Unfazed he kept playing, and kept winning. The pot grew 1 k, 2, 3, 4 and so on. He built it all the way back to $14,000. I advised quitting and he agreed to set 10 k aside. He kept playing with the rest, with intermittent cocaine breaks, and eventually lost it. I swear this was some kind of movie. By this time it was 4 a.m. and the group, minus Ken who went to bed, needed a change of venue. So we headed to a nightclub. True to form Neil got a table and bought bottles of liquor for everyone spending hundreds of more dollars. The music was loud and we danced the night away with some of the most beautiful people in South America. Eventually the crowd started to die down. We decided to leave and when we emerged from the windowless and clock-less club it was 7 a.m. and the sun was out. I was completely done. I said I was going home. We exchanged handshakes and nothing else. The last I saw of them was when they piled five people in a small cab. I walked back to my hostel. I love to travel for things like Iguassu Falls and Machu Picchu but the best times are unplanned. Like the time I partied for 19-consecutive hours in Lima with my 19-hour best friends. 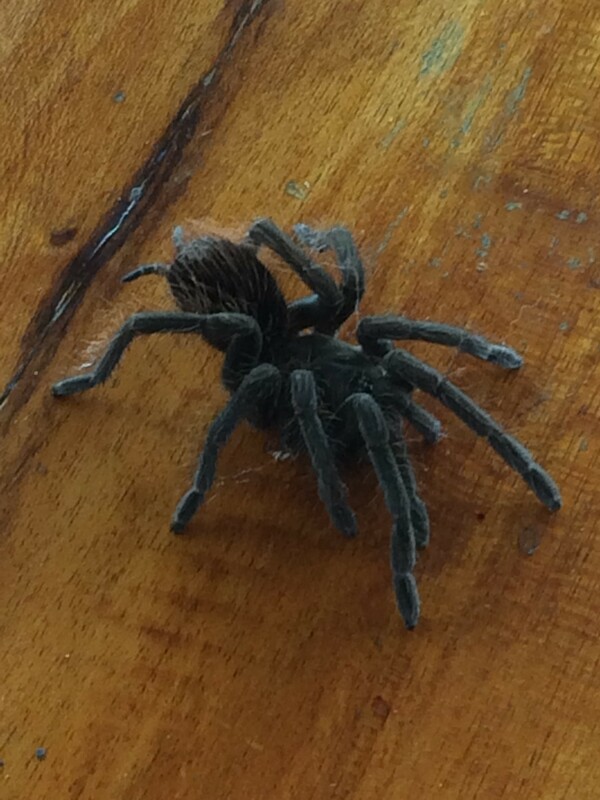 I only spent nine days in Bolivia due mostly to the fact that I spent so long in Brazil. I guess I shouldn’t say “only” nine days, there has been years were I have taken less vacation. Anyway, I spent the night in nine different places and was constantly on the move. I saw a lot of the country though, traveling 1,864 miles from Santa Cruz to the borders with Chile and Argentina to La Paz. Point being, when you are on the move so much your expenses go way up. 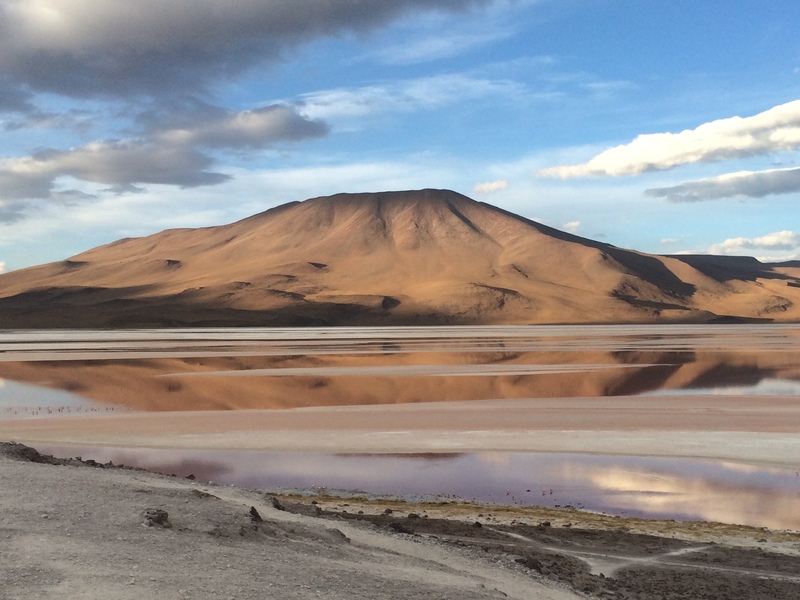 Fair warning, while tremendously beautiful Bolivia is not for the faint of heart. 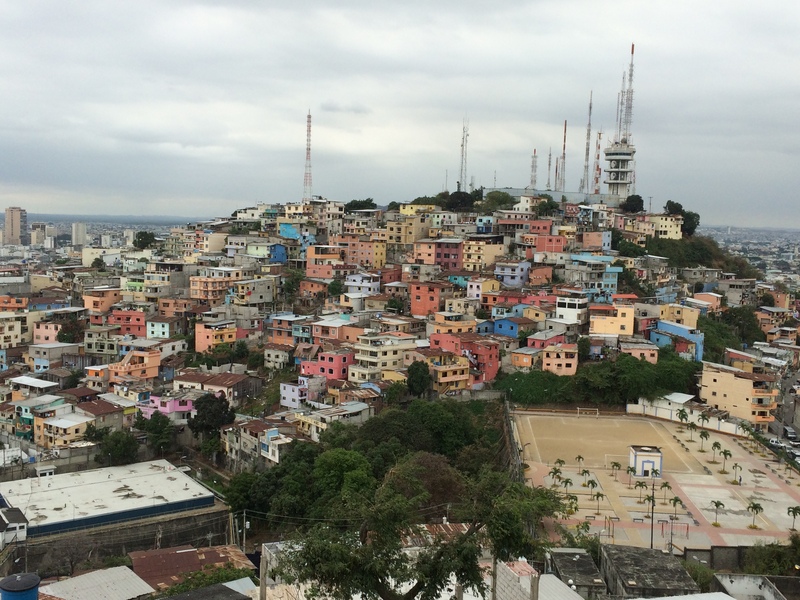 It is the poorest country in South American, and that is saying something. Dirt roads are common and electricity is at a premium is some parts of the country. WIFI and Internet? If you are my age think back to that first dial up modem you had. It’s like that, just less reliable. All this adds up to savings for the budget-minded traveler. Let’s dive into the numbers. The biggest expense was tours as my trip to Salar de Uyuni wasn’t cheap. I spent a total of $83 on that three-day trip which accounted for my only real tourist activity. Over the nine days it averaged out to $9.22 per day. I walked around Santa Cruz and La Paz and took in the sights but it was my favorite price range, free. As always, food was big slice of the budget pie, pun intended. I spent $34 on lunch ($3.77 per day (PD)), $42 on dinner ($4.66 PD) and $4 on breakfast ($.44 PD). In total my stomach cost me $80 or $8.88 per day. This cost could be less if you wanted it to be. Most hostels have kitchens and many people buy food and then cook for themselves. That is not me. I’m not much of a cook and I hate doing dishes so I eat out every meal, just like I did stateside. I stayed five nights at hostels and another four on overnight buses or trains so the savings there was big. I spent a total of $40 on accommodation ($4.44 PD). Beer was remarkably expensive with prices in the $2.50-$3.00 range per bottle. I didn’t drink much, spending $19 or $2.11 per day. Although, I did trade a book I had finished reading for two beers. Bartering is not, however, included in the budget breakdown. Another big plus for Bolivia is how cheap the buses are. They are not top of the line by any means but they are cheap. I spent just $36 ($4 PD) on long haul buses or trains. I did spend almost as much on cabs ($31 or $3.44 PD) but it is just not worth it to risk walking around at night. It kills me because I love to walk. I also sensed a bit of a Gringo surcharge on the cabs but what can you do? You can negotiate prices in Bolivia but sometimes it doesn’t seem worth the argument for a few cents. Besides, these people need the more way more than I do. Other than that I spent $13 ($1.44 PD) on other, which ranged from Coca leaves to WIFI. I also spent $6 ($.66 PD) on water and another $3 ($.33) on snacks. All told, I spent $311 in Bolivia over nine days for an average of $34.50 per day.